G.E. 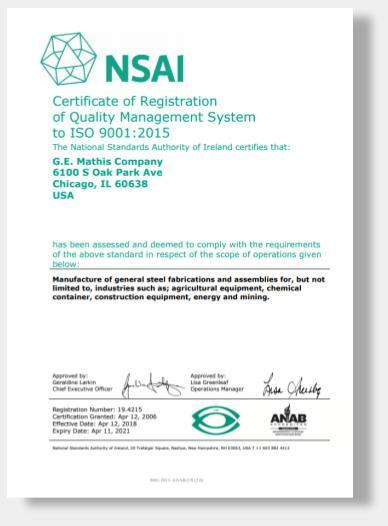 Mathis Company is proudly ISO certified. ISO 9001:2015 deems our company as a fully qualified management system that ensures we meet all ISO requirements. Be sure to download a copy of our ISO 9001:2015 certificate to have for your records.